We currently have a stock of over 1000 second hand Engine Control unit's in stock which we can supply as plug and play replacements for faulty units. In most cases this is the most cost effective method of repairing a modern ecu rather than tedious repairs on ever more complex circuits. 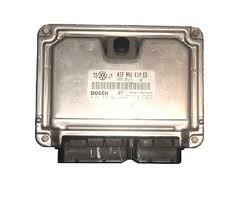 Prices start from £150+vat for ECU supplied with cloned information.